First Landing State Park is in the Northeast corner of Virginia Beach. Originally known as Seashore State Park, it is a Maritime (Seaside) Forest encompassing the approximate site of the First Landing in America of English Settlers in 1607. They made Landfall here, then sailed up the Chesapeake Bay to found Jamestown. 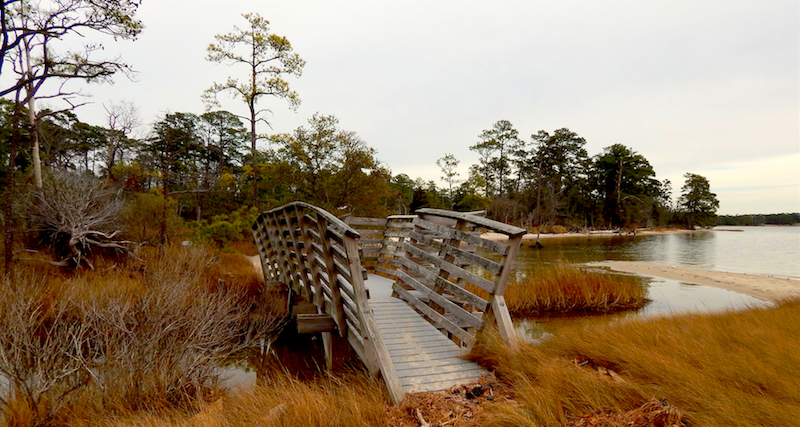 I like to hike in the Forest, which is composed of a series of Ancient Sand Dunes interspersed with Cypress Pools and Swamps, bounded by the Atlantic Ocean, Chesapeake Bay, Lynnhaven River System, and Tidal Creeks and Marshes. There is a system of Trails for Hiking and some for Biking, and some fine Waters for Fishing and Kayaking which I will feature here as I have time to develop this site. For now, here’s a link to the Park’s website and another informational site to explore.